Temporary teachers at M S University will not get research projects from university’s research and consultancy cell as of now. MSU’s syndicate members took this decision on Friday during their syndicate meeting. VADODARA: Temporary teachers at M S University will not get research projects from university‘s research and consultancy cell as of now. MSU‘s syndicate members took this decision on Friday during their syndicate meeting. The research and consultancy cell had proposed that support provided to newly appointed and young permanent teachers on the campus for research projects be extended to university’s temporary teachers. It had proposed that temporary teachers who have three to five years’ experience and are PhD holders should be provided research projects by the cell. Based on the proposal, the university had constituted a committee which had recommended that as of now such benefits shouldn’t be extended to temporary teachers.. 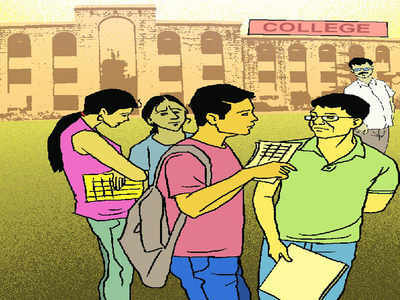 Through the cell, MSU is among the few universities in the country that provides financial assistance of Rs 1 lakh for three years to newly appointed assistant professors for research projects in non-science streams like arts, social sciences, humanities, commerce, fine arts and performing arts. Since its inception, the cell has generated Rs 80 lakh to Rs 90 lakh through projects assigned by industries and private firms.